Does your child have a problem writing good essays or expressing himself? Does he hesitate to speak in public because he lacks communication skills? Is she losing her grades because her answers are not prepared and presented well? Today success is not a luxury, it is a necessity and one of the greatest impediments to success is the inability to communicate effectively. A lot of problems can be avoided with better communication. We understand how important our children’s success is to us and therefore we have developed a variety of short term courses that will help enhance their personality and perfect their communication skills. All the courses are conducted by Sunita Saldhana who is a published poet and writer. She has been writing since the age of 13. She is now a “retired mom” with both her kids having flown from the nest and is now concentrating on her writing. She has worked as a corporate trainer and now conducts various courses for kids on developing reading skills, creative writing, speaking with confidence and other Life Skills. She absolutely loves being a woman with all of its myriad facets. Her book, “Who shall I be today?” is a celebration of the joy of being a woman, even in pain and frustration. The creative writing course with Sunita Ma’am was very interesting. She taught us many things like creating a character, creating a setting etc for our stories. Ma’am cleared all my doubts. I enjoyed this course a lot and I wanted it to go on forever and ever. This course is simply the best! I enjoyed it like anything! I made new friends. I learned so much from Sunita Ma’am. She is simply awesome! I admire her writing skills. She teaches in a different manner which I adore. I wanted to lock myself, Sunita Ma’am and my friends in the room and go back in time to start the course again! Do you know that your child can grow better and better as a person, in poise and personality and become a very confident individual? I know because my children have been groomed at “The Know & Grow Learning Centre” by Sunita Saldhana and have grown more confident day by day. Let her tap the hidden potential of your child and you will see the difference! I did and I see the change too. Flopsy Finds a Friend by Yeshvi Bhalotia. 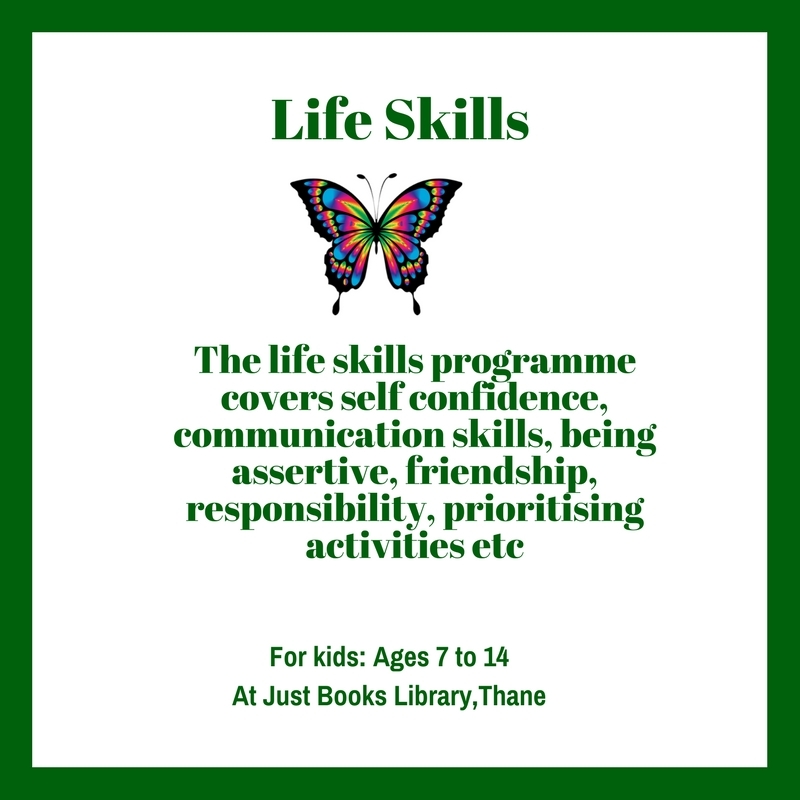 We have classes in Thane at Just Books library, Vasant Vihar, Tropical Lagoon Shopping centre, Anand Nagar & Vrindavan Society. We are also at Shantivan, Borivali East.